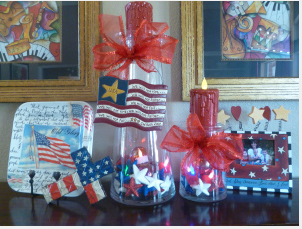 You can add a touch of July 4th Decor to the inside of your home. Gather up your red, white, and blue accents. 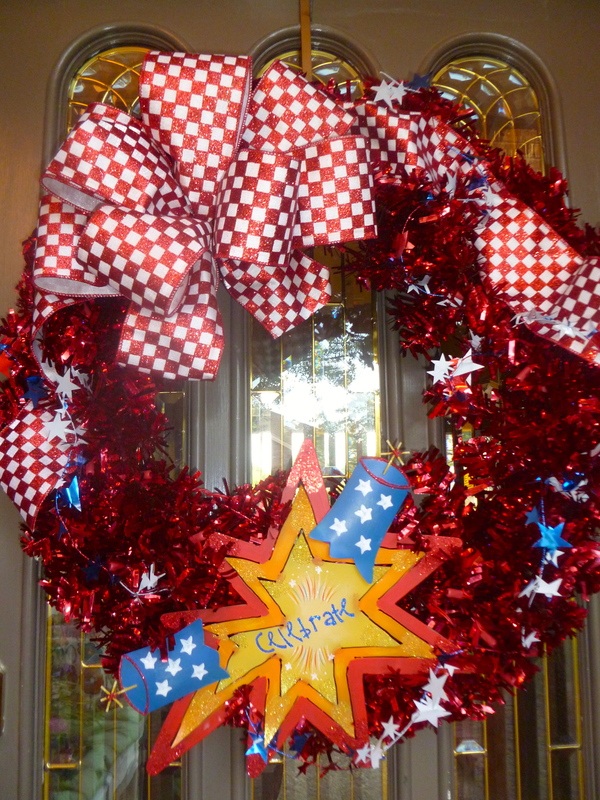 Mix them together, add in a Americana sign, and tie it all up with @ShowMeDecoratingBow. 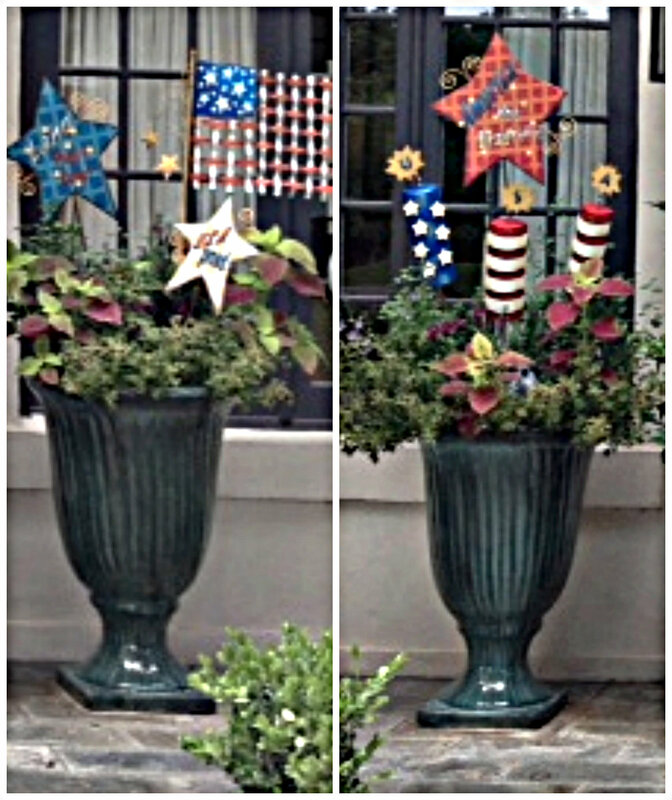 Then add some FireWorks to your potted plants and let the Celebration continue…. How do you celebrate July 4th? Do you decorate a table top for a bbq? Or hang out Red, White, and Blue Bunting? Comment and share with us-We love to hear from you. 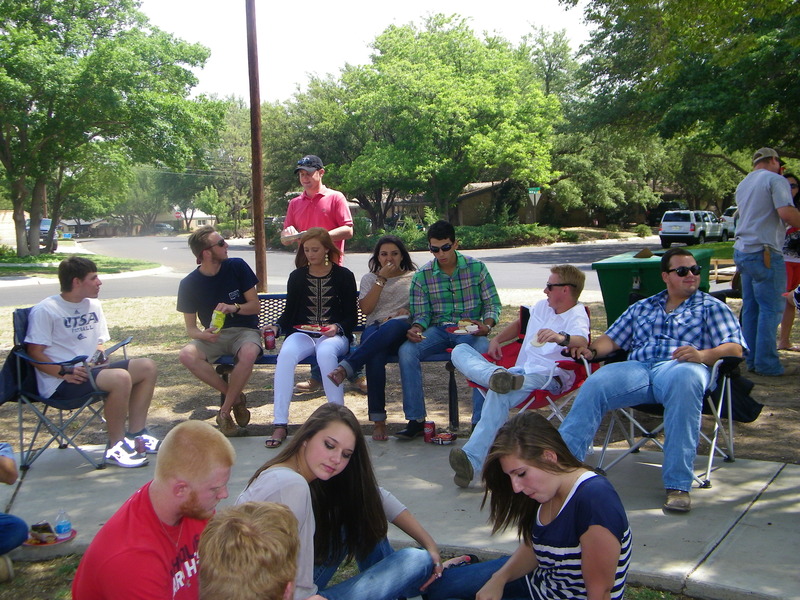 We love to gather at our lake house and eat brisket, watermelon, and home made ice-cream. Our kids love to shoot off fireworks and light sparklers. 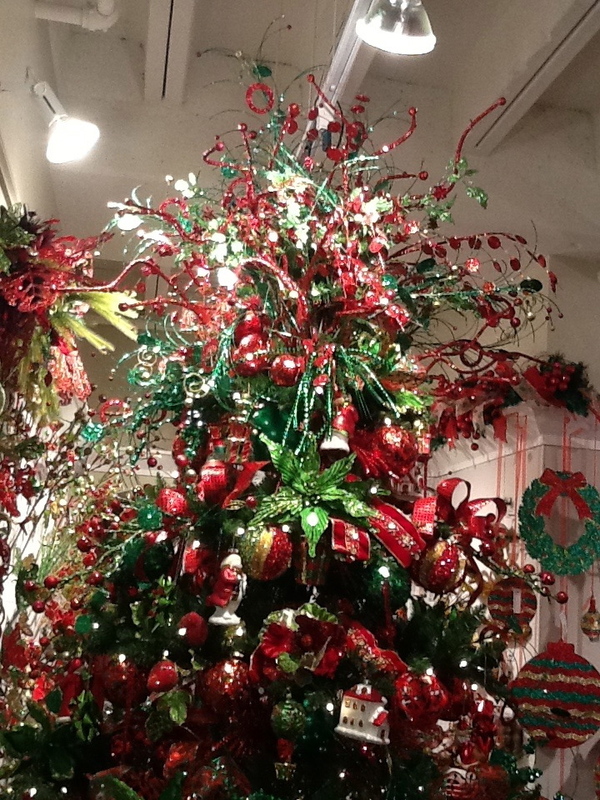 So you don’t fancy yourself a designer, but love to celebrate and decorate for the holidays? 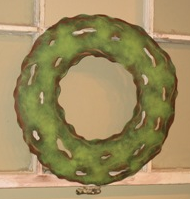 This is the wreath for you! 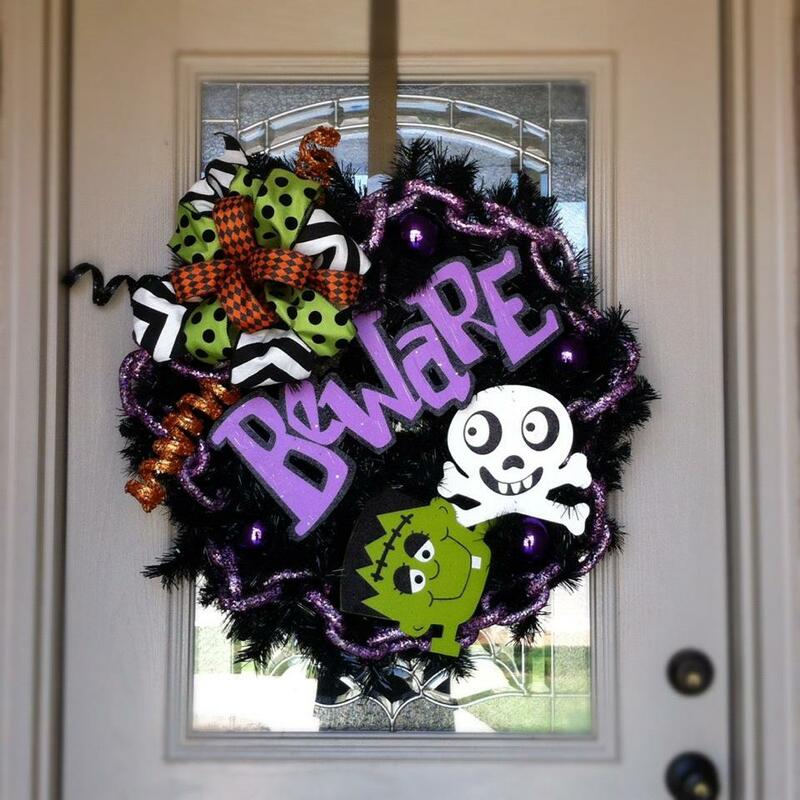 It is also perfect between a glass door where you need a flat wreath. 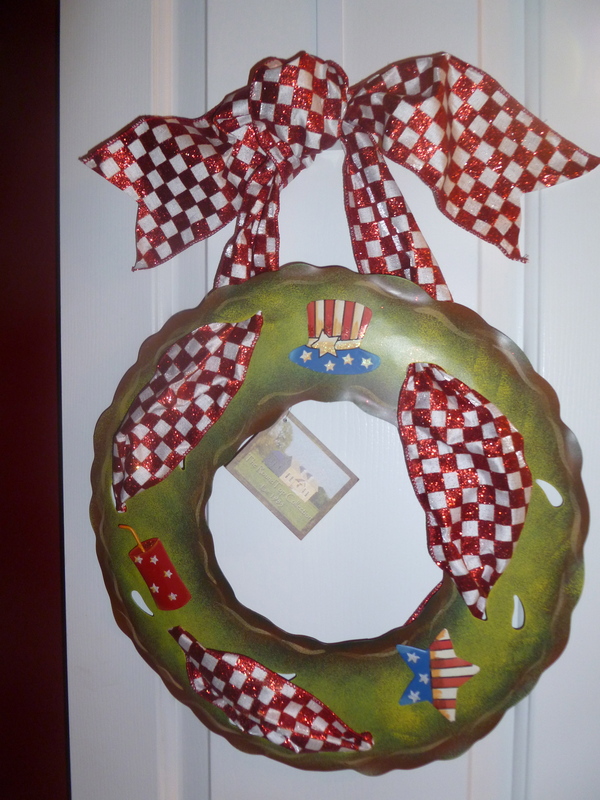 How about a dorm room, apartment or retirement center doorway. Stores easily when not in use. 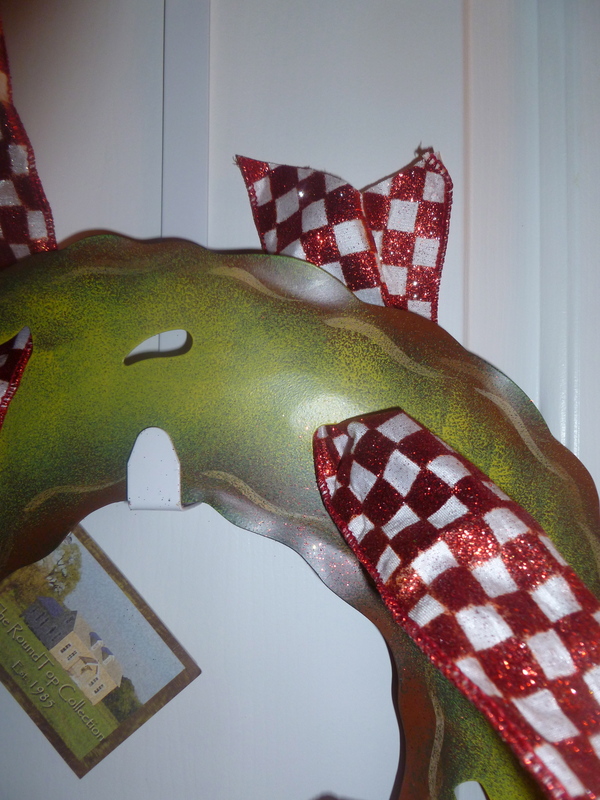 Add ribbon and seasonal magnets and you are set to go! As as much or as little as you like! 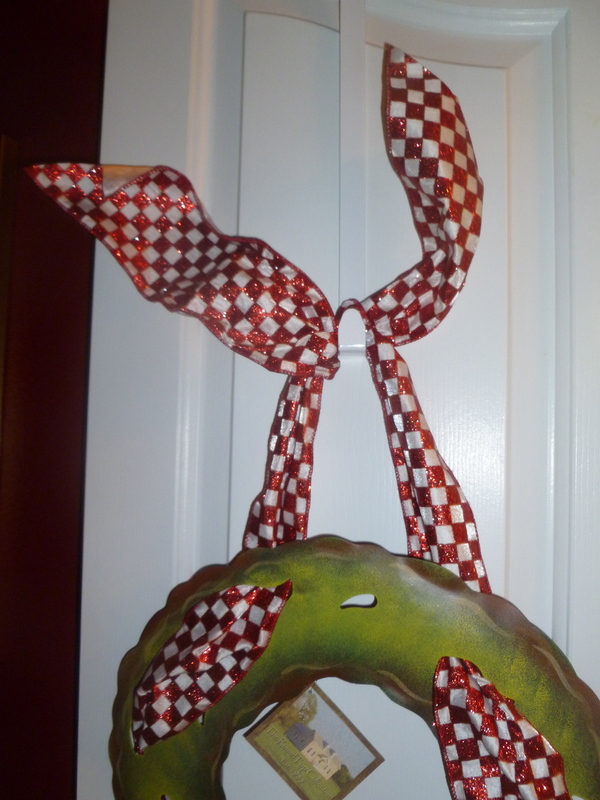 Ribbon easily laces in slits cut into wreath. 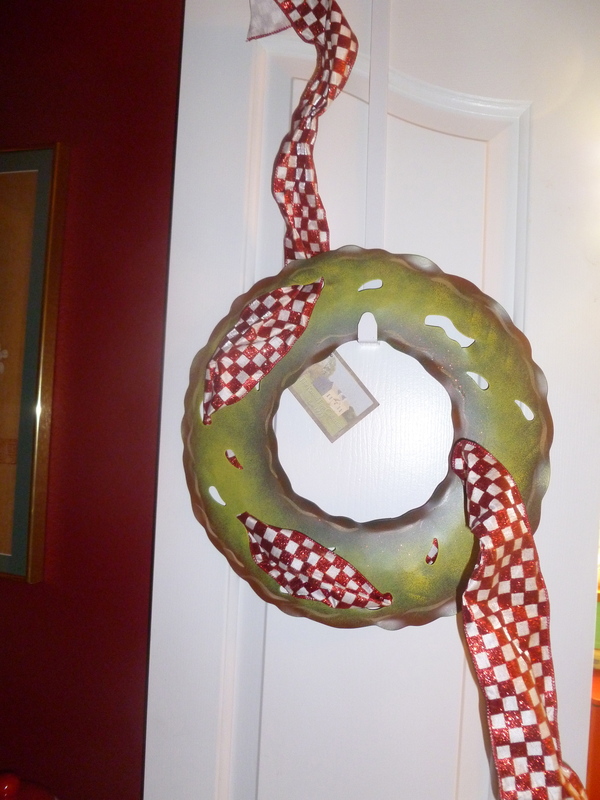 I used excess ribbon at top to tie in a knot and hang on the wreath hanger used over a door. Now add magnets! 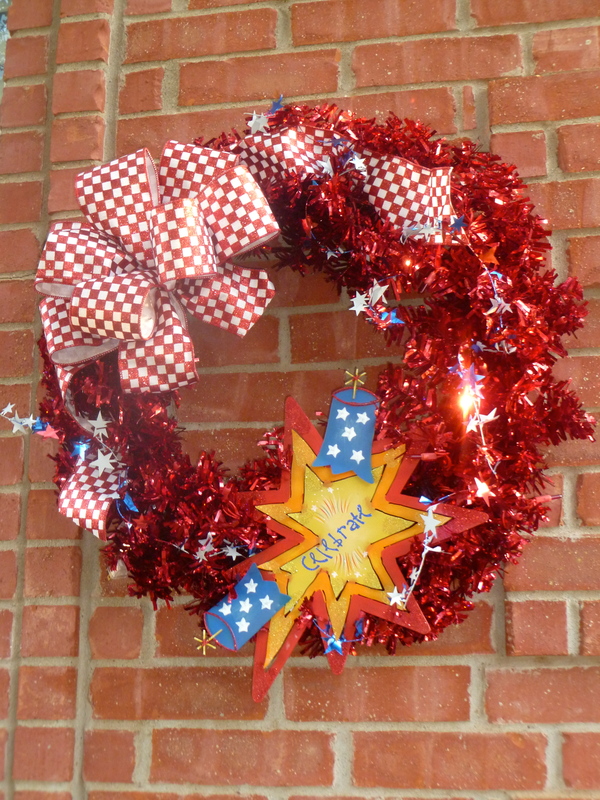 I used patriotic to celebrate Memorial day and 4th of July! 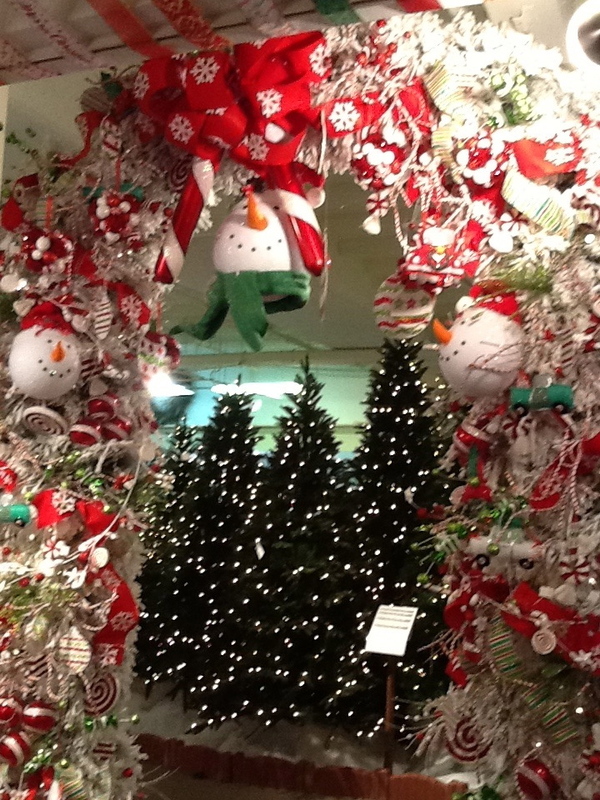 Show Me A Wreath for all Celebrations…. 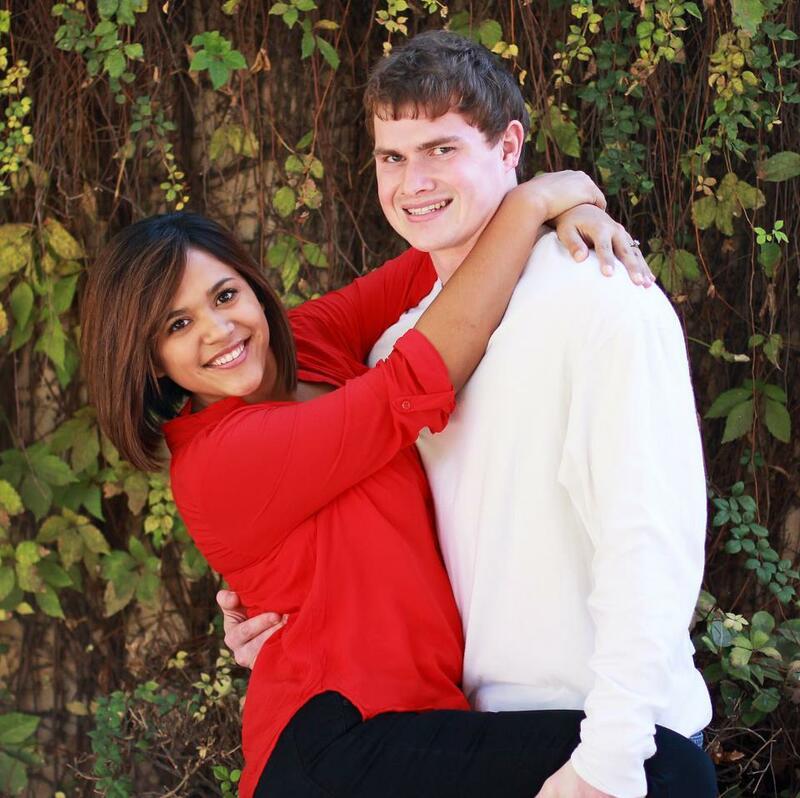 Alyssa and Tyler are newly married, with great taste and style. Black tinsel wreath leaps from one season to a holiday to a celebration in a few simple changes. The value of quality ingredients as been a lesson well learned by our own Alyssa. 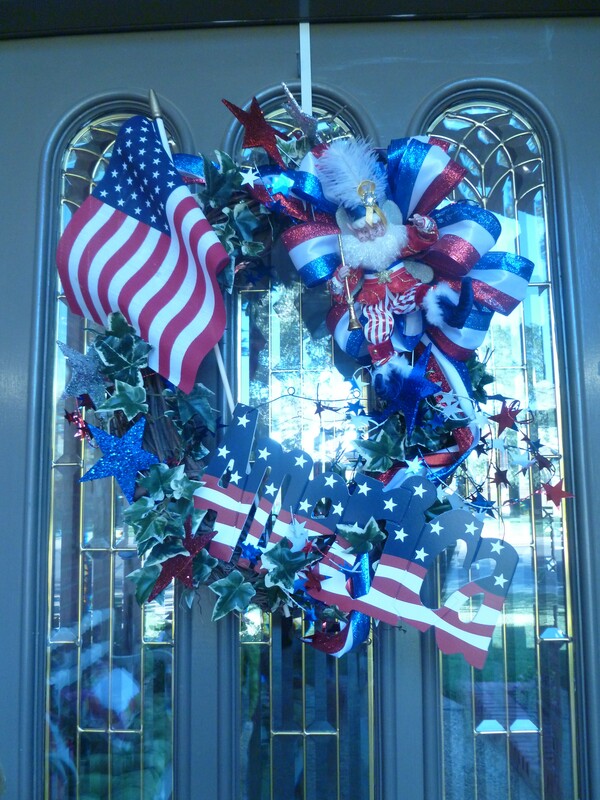 She shared with us how she has repurposed her wreath base, ribbon and balls to celebrate 4th of July, Halloween, and Valentines day. Now her neighbors are lining up, wanting to place an order! 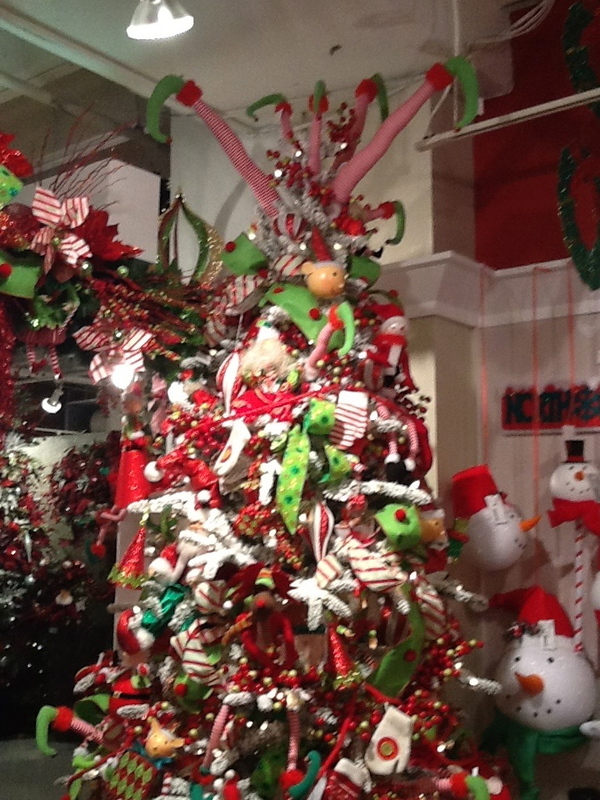 Notice the items that she used the same in each wreath. 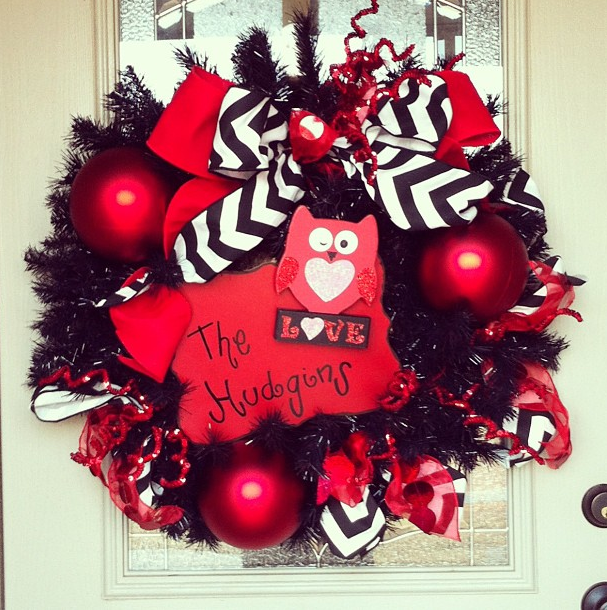 She invested in the Black wreath base, bolt of black and white chevron ribbon, and some red balls. Alyssa said she realized the quality of ingredients when she reused each time and it all still looked brand new. 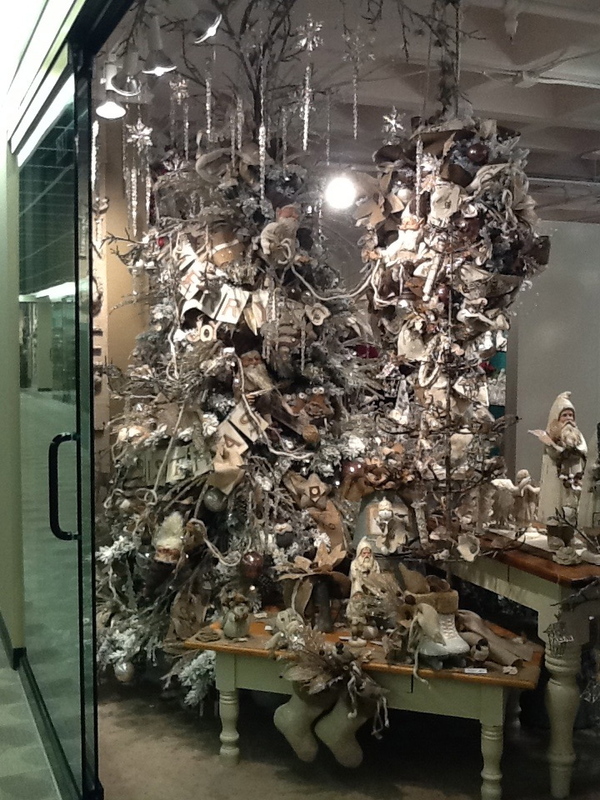 As newly married, with limited funds but the desire to decorate, she has found the perfect solution, repurpose and reuse! From the looks of her wreaths she learned it well. Way to go Alyssa, thanks for sharing! 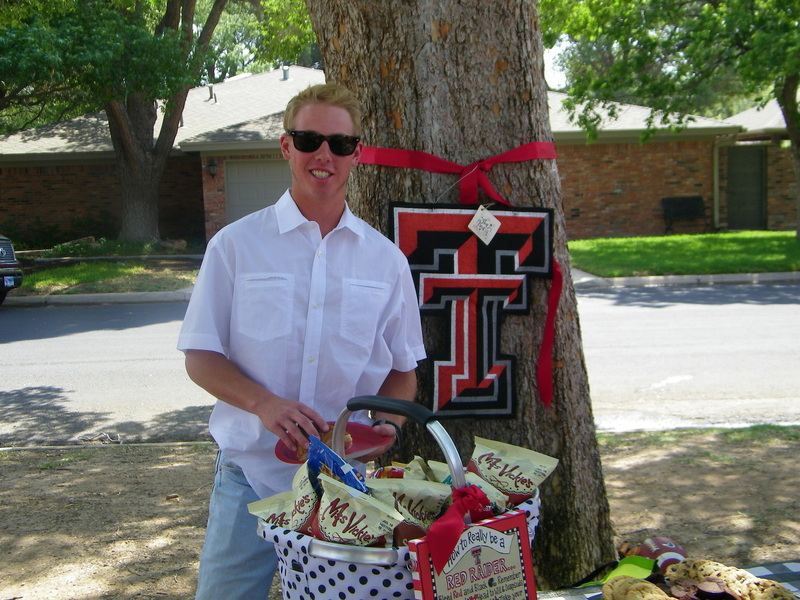 The honoree, Coby, who is now a Tech Red Raider! 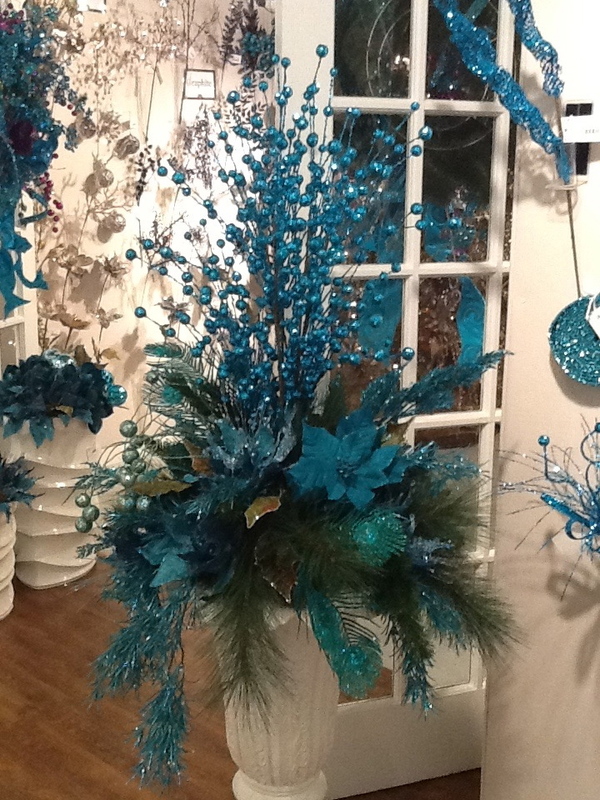 When planning a party or celebration the Show Me Decorating team starts with a theme and color story. 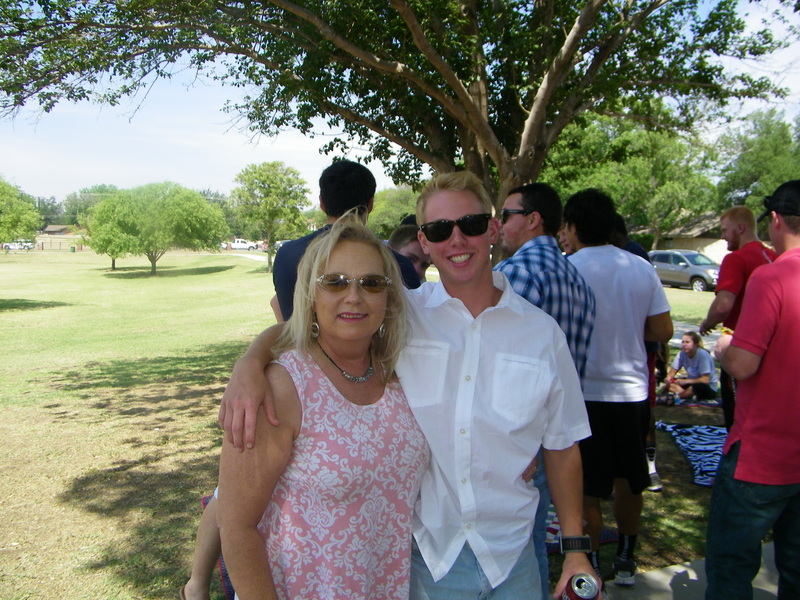 For this event, the picnic in the park was celebrating graduation, and the future university Coby is attending, Texas Tech. 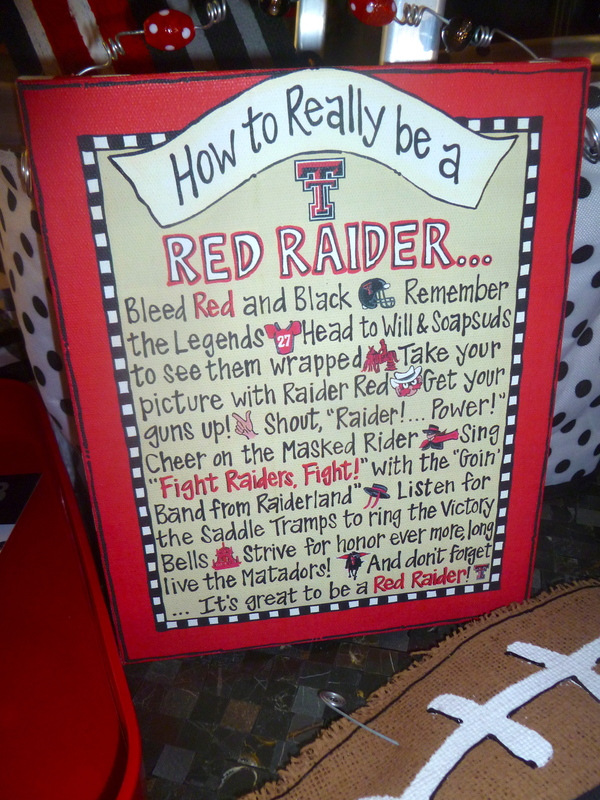 So with this in mind the color story revolved around Red and Black! We could have also chosen the high school colors for Robert E Lee, maroon and white! We choose a park in close driving distance from the high school and arrived early to secure some shade. 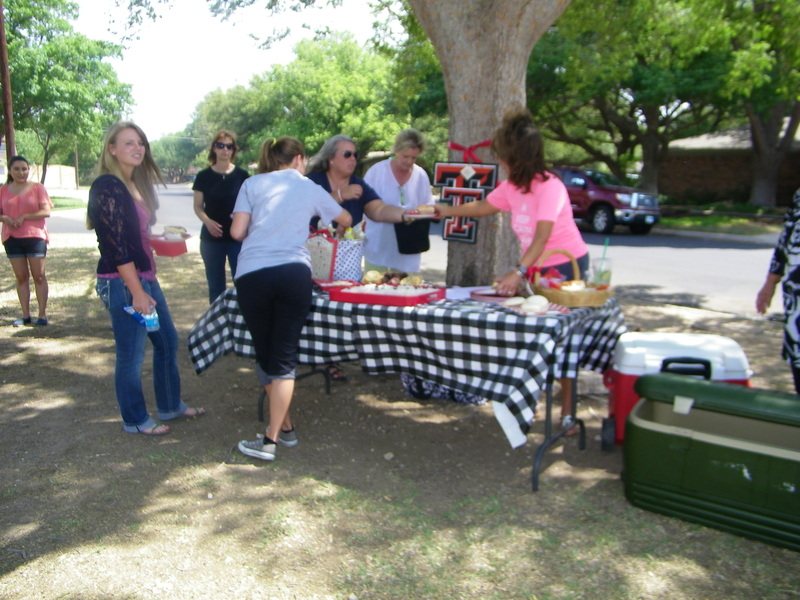 We provided our own table, with blankets and quilts for the kids to eat and relax on. We visited the Show Me Decorating online store for items to support our theme and color story! 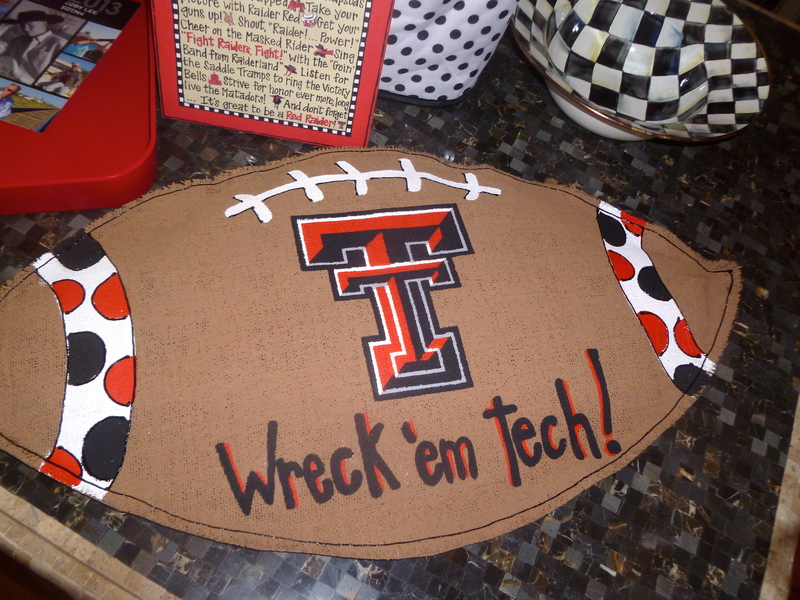 Fun Canvas, great for a dorm room door, shelf or wreath for the mom’s front door! 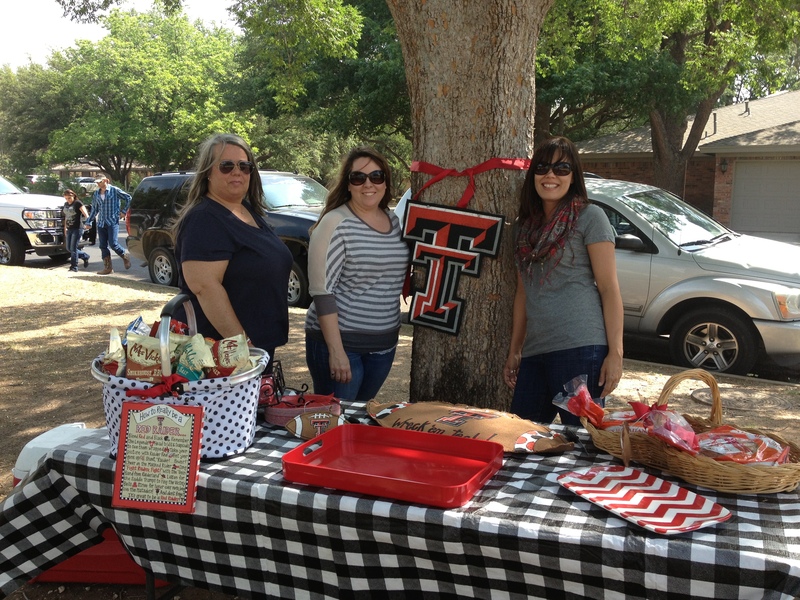 This fun canvas was great tied onto the basket we planned to hold packaged chips! Gathered goodies ready for a picnic in the park! Now that the location is set, the theme and color story are planned, its time to pick the menu. 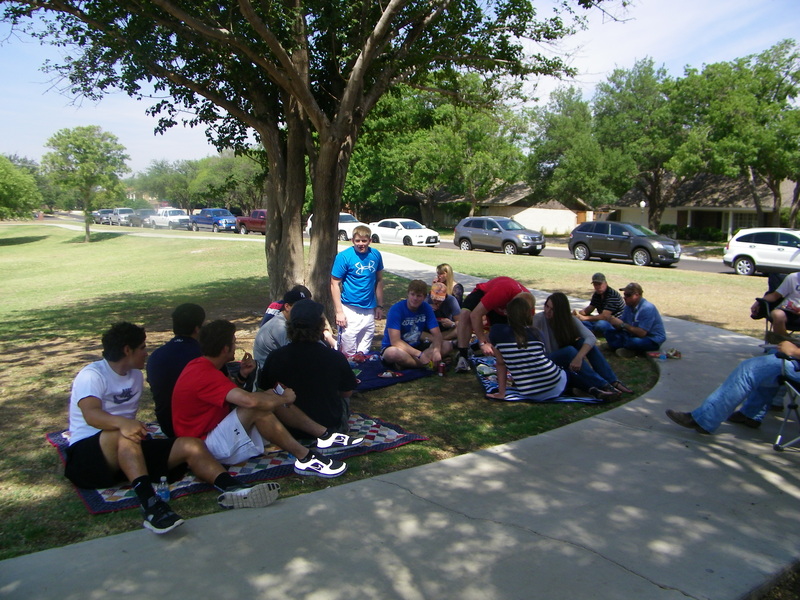 Some of the criteria for a picnic in the park during high school open lunch. Easy pick up food, no utensils needed, no drippy messes, no melting stickiness, simple to eat, and of course yummy for even the pickiest eaters! Menu: Hawaiian Sandwiches, chips, brownie bites, cookies, and small bakery cakes. 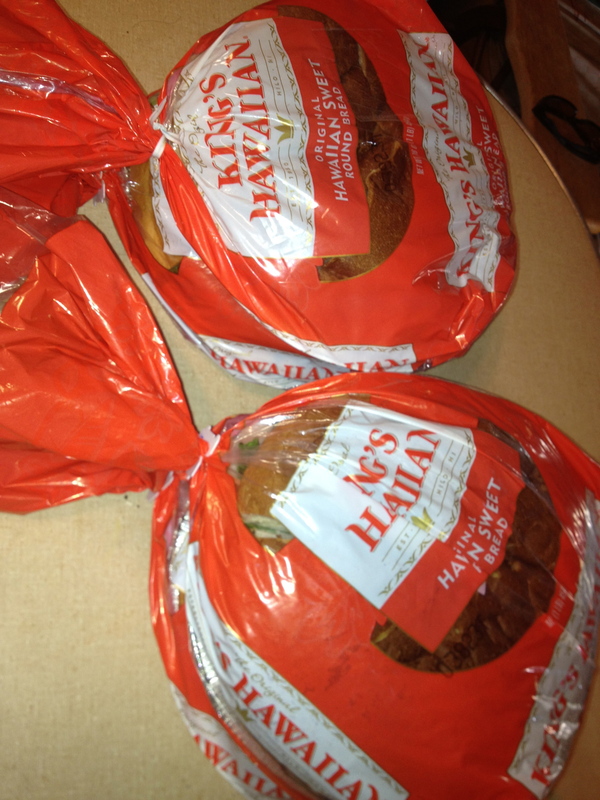 One of our go to recipes is the Hawaiian Sandwich. Our dear friend Debbie created these for the Lee baseball team when they headed out on road trips. We have adapted it to fit our own personal taste. We also love to fix these at the lake to take out on the boat! 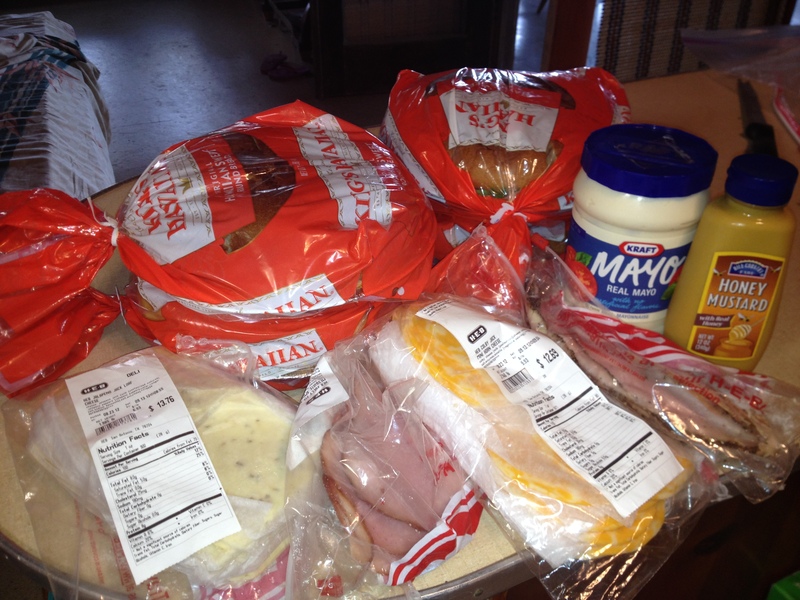 Key ingredients for the Hawaiian Sandwiches, Kings Hawaiian bread, mayo, honey mustard, colby jack cheese, pepper jack chess, honey mesquite ham, and peppered turkey breast. Lettuce, tomatoes and avocado are optional. Gather all your ingredients and assemble. Remove bread from wrapper , cut top off with a serrated bread knife, put bottom back in pan. Add a scoop of mayo and a squirt or two of honey mustard and spread on each side. (there are different variations to dress your sandwiches, however this is my families favorite) Next layer top half with colby jack cheese and bottom half with pepper jack cheese, covering with layer of cheese. 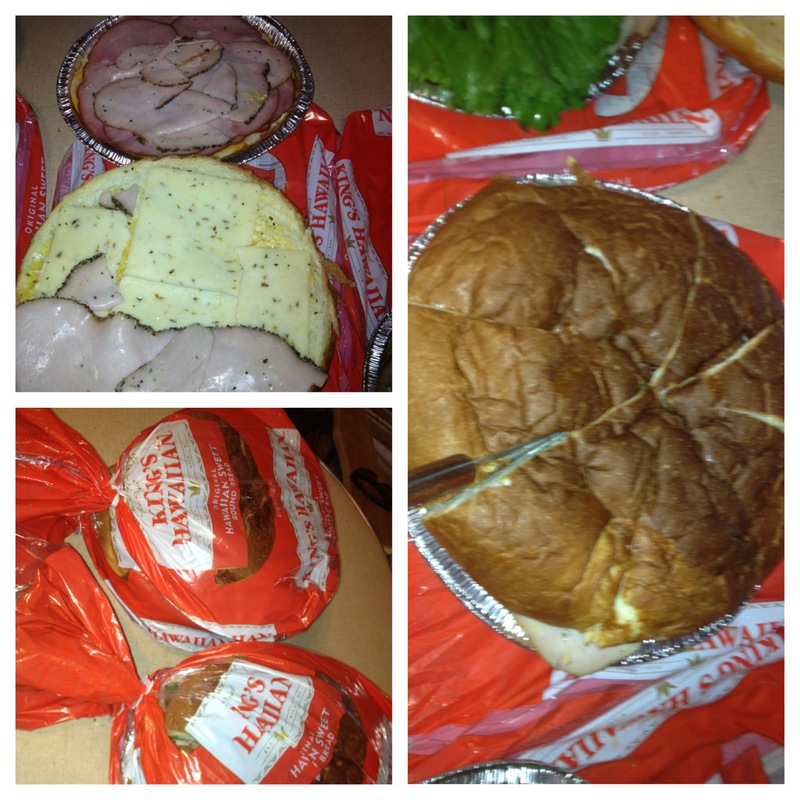 Add a layer of ham to colby jack side and turkey to the pepper jack side then put together. Press down with your hand, slice in eight slices like a pie and place back in the wrapper securing with the bag tie. Store in the refrigerator until ready to serve. These are best made the night before. 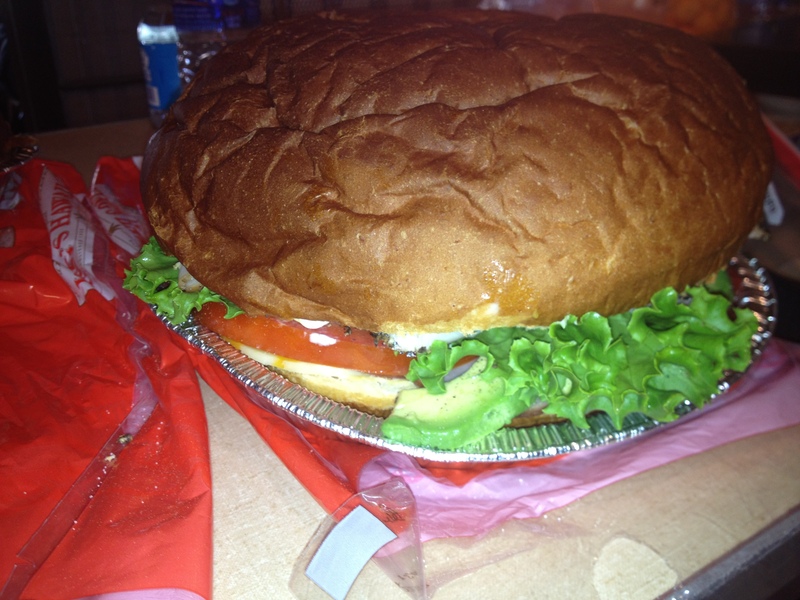 Lettuce, tomatoes and avocados are optional. It is best to add these right before serving so the sandwich is not soggy and people can choose to add if they like. 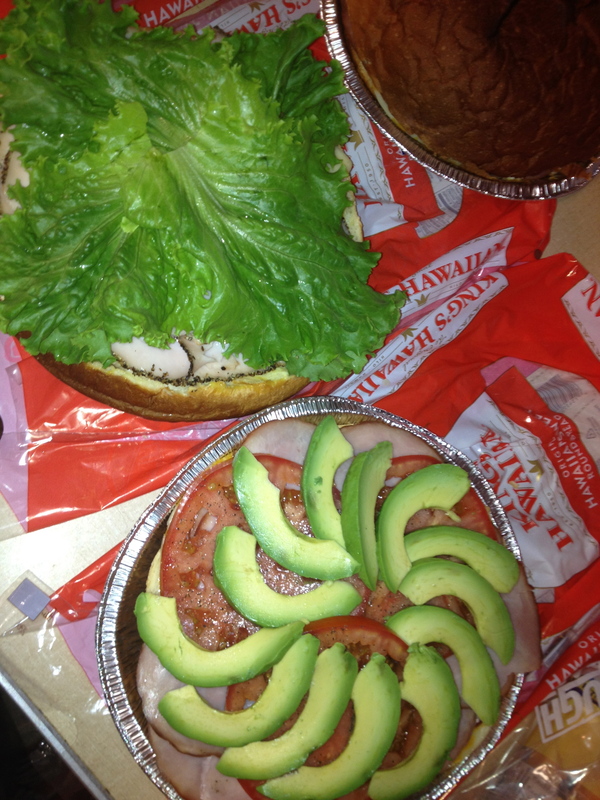 Sliced avocados, lettuce and tomatoes are optional. Curly letter is pretty peeking out! Table set up is complete! 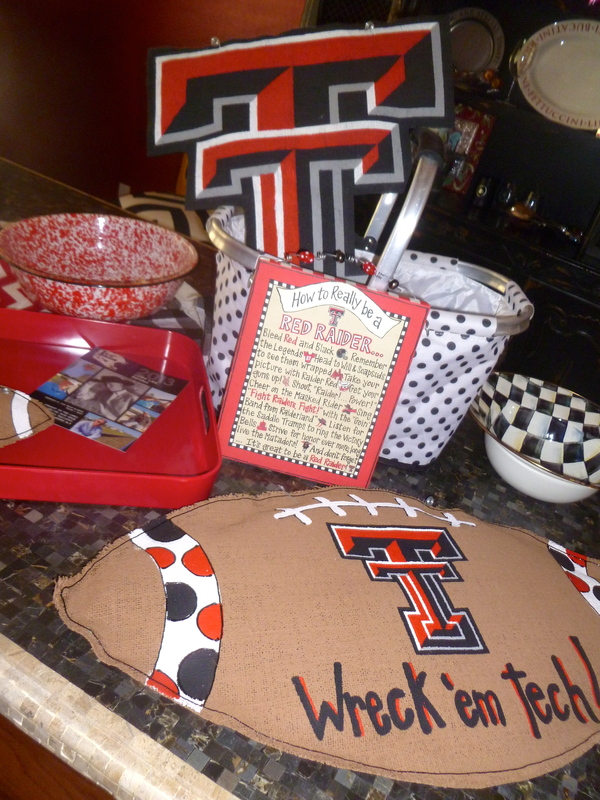 Colby loves his Glory Haus Texas Tech football burlee. 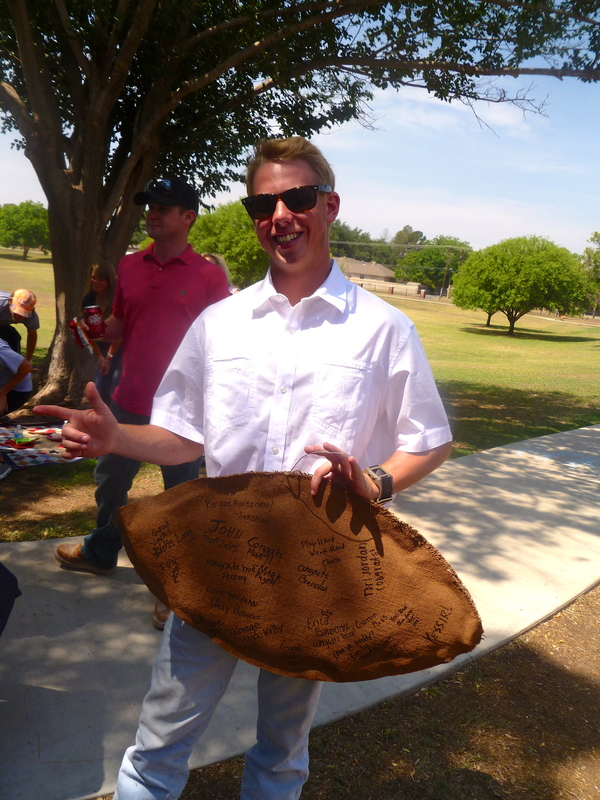 It is personal, all his friends signed the back of the football for Colby! 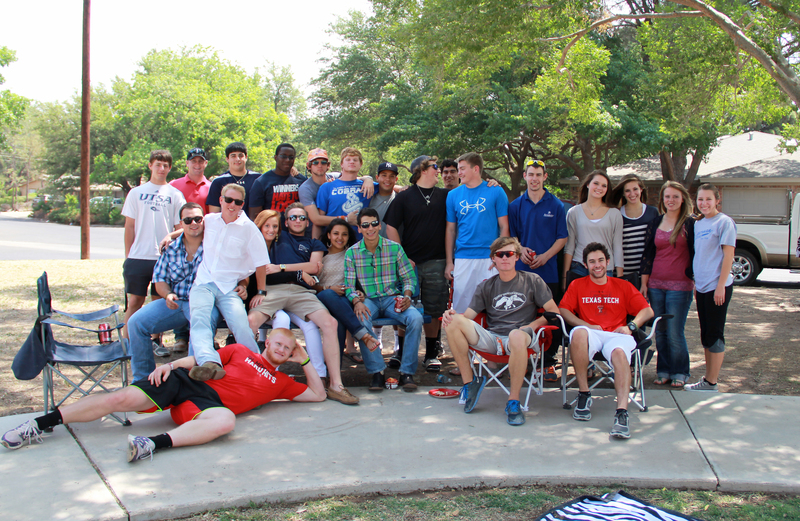 Beautiful Day for a Graduation picnic! 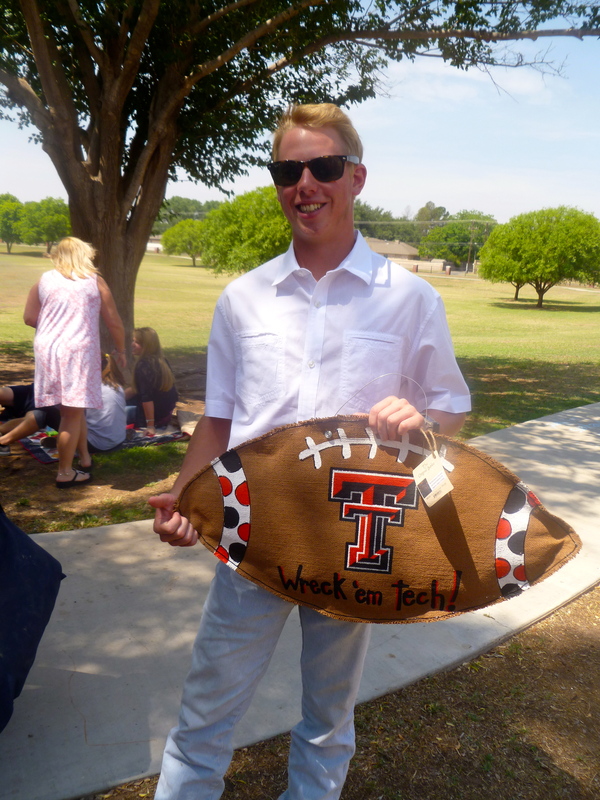 The Graduating senior and his new college Texas Tech! 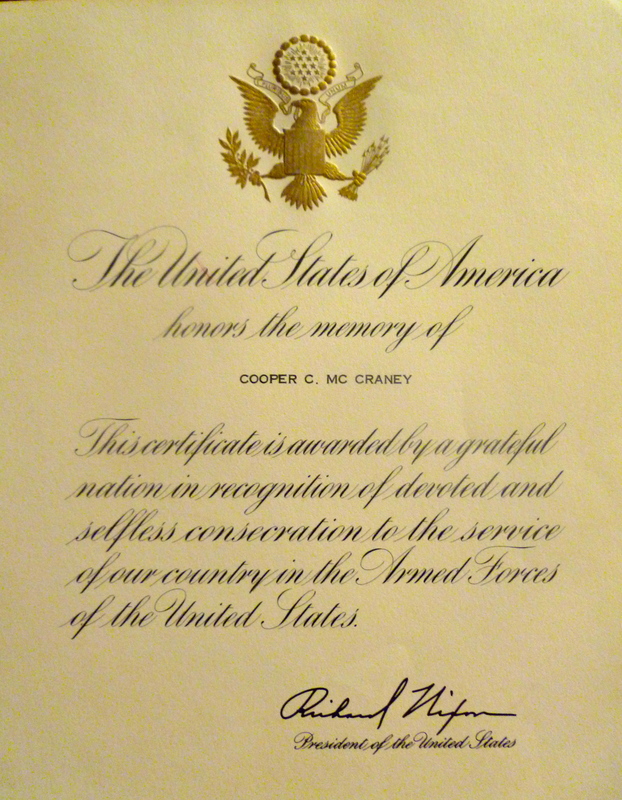 In honor of my father n law, who served during World War II, I like to decorate the mantel with his picture, flag and certificate for service signed by Richard Nixon. 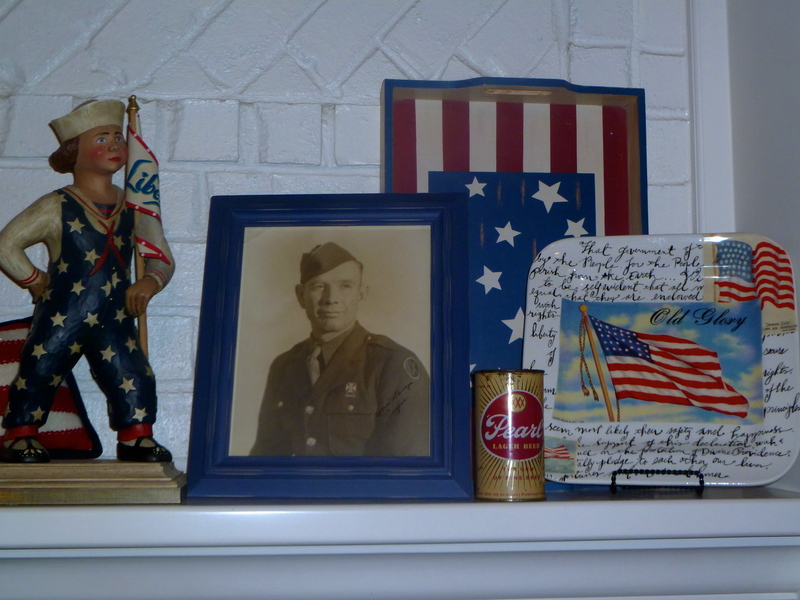 I pull in other Patriotic pieces from my collection to coordinate and compliment the Red, White and Blue theme. It is a great teaching tool with the kids and grandkids. It is an opportunity to reflect on the lives of so many men and women who have given the ultimate sacrifice and service to our country. We are free today because so many have given so much. The original Pearl larger beer actually belonged to Cooper and my husband has kept the unopened can as a remembrance. Lady Liberty stands guard and Old Glory is proudly displayed. So today as you fly your American Flag, say a thank you and remember all those who died for the sake of our freedom! This week has been a great reminder of what makes America strong- that in the times of destruction we can come together and help those in need. It reminds us that we can pray for those affected by the storms and we can give to those who can offer practical help. If you would like to help, Samaritan’s Purse http://www.samaritanspurse.org and the Red Cross http://www.redcross.org are wonderful organizations that provide on the ground help to those directly hurt by the storms. Add a touch of the season’s to any room in your house with the Round Top Collection’s Chalkboard jars by changing out magnets to match the season or mood. 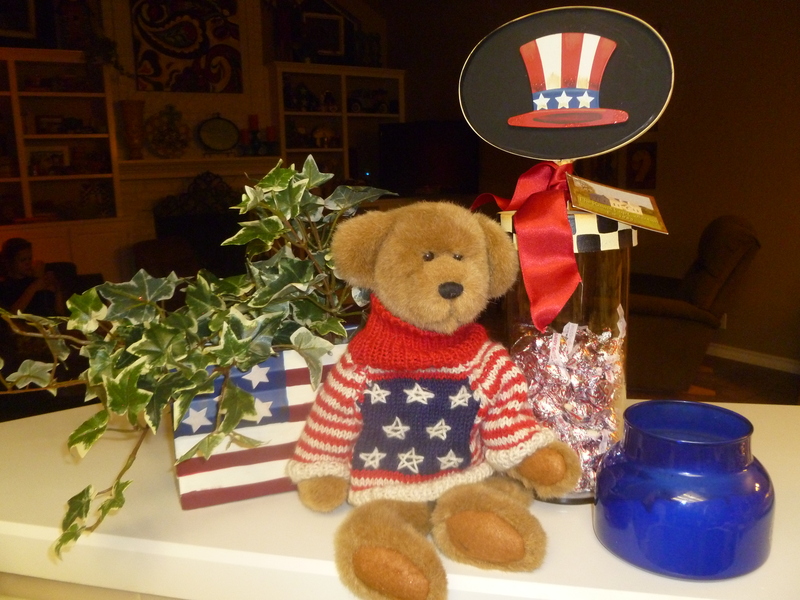 A favorite stuffed teddy is all dressed for a parade, and my collection of red, white and blue is all brought out to celebrate America’s birthday! (or Memorial Day). I have been collecting for years and store it all in accessible clear tubs marked “patriotic”. A new favorite to add to my collection of seasonal decorating is the Round Top Collection’s Chalkboard jars. 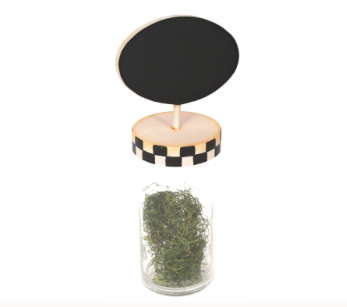 This versatile Jar with the change of a magnet or chalkboard message leaps from one celebration to the next! I love to group complimentary items to make a statement. The metal flag container doubles as a silverware holder for the fun family cookout! Filled with a permanent ivy the green adds life. You could easily substitute a fresh flowering plant or maybe a fresh herb! Ribbon! 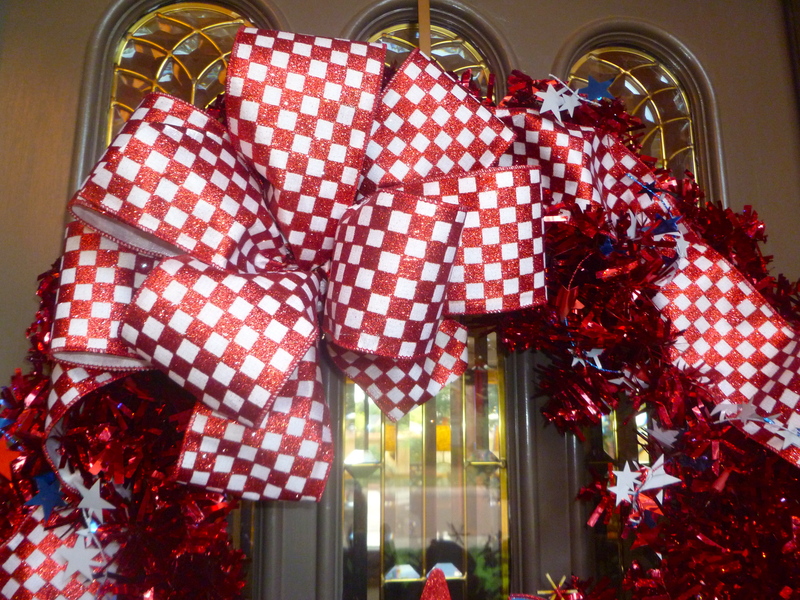 The addition of red satin ribbon compliments the red, white and blue theme. Chalkboard Jar, ribbon and Uncle Sam magnet. Finished Chalkboard jar filled with chocolate kisses in shiny silver foil! 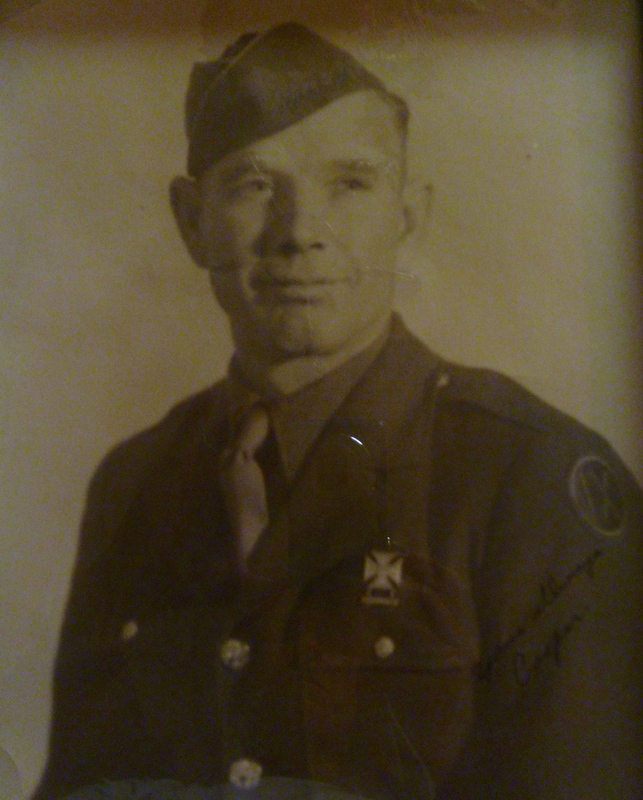 Uncle Sam hat could be personalized with family’s last name! 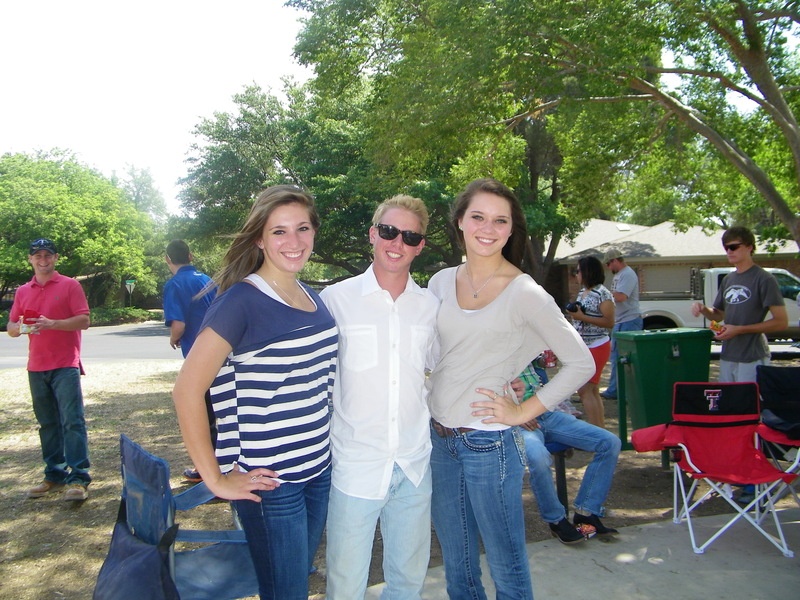 Happy Memorial Day and 4th of July! Show your patriotic spirit in red, white and blue…….